A solid raised panel door with five-piece drawer front, Riverside is a simple door with just enough detailing to work well with a glazed paint or stain finish. But it is spectacular when you apply one of our Aged paint techniques. The use of a dark rich stain and the lighter, well-loved authentic feel of Aged Concrete gives this kitchen a chic contrasting feature. 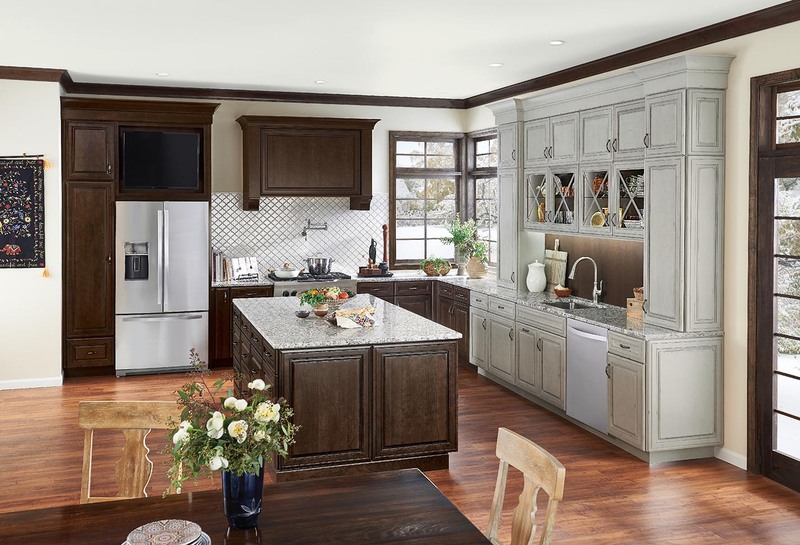 Click the button below to add the The Masterpiece® Collection Riverside in Molasses Cherry and Aged Concrete Maple to your wish list.